DB25 connector at the top for connecton to PC Parallel port. Pin headers also support connection to whiteboard, or use as an Arduino "Shield" board for educational, embedded, or robotic applications. 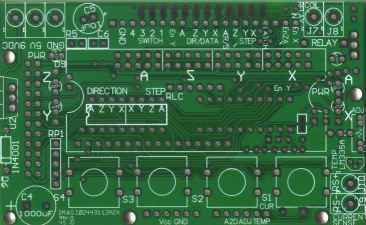 This well made PCB is documented and supported for you to assemble along with the parts kit options you choose or your own parts, using your soldering iron and solder. 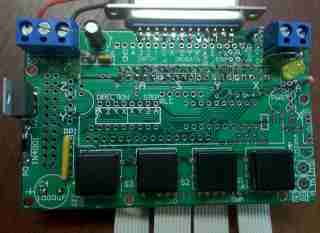 The assembled sample in the picture includes the optional DB25 connector and cable for connection to a PC parallel port, the +5 volt power regulator, and a relay driver and tactile switches from local parts. user @3.80.224.52, your shopping cart is empty.